Terrace Condos For Sale | Siesta Key Fl. You are here: Home / Condominiums / Terrace Condos For Sale | Siesta Key Fl. Beachfront, Fitness Room, Elevators, Heated Pool, Onsite Management, Secure Parking, Storage. Building Exterior, Cable, Community Pool, Escrow Reserves Fund, Fidelity Bond, Flood Insurance, Ground Maintenance, Insurance Building, Maintenance/Repairs, Manager, Pest Control, Public Insurance, Recreational Facilities, Roof, Trash Removal, Water/Sewer. 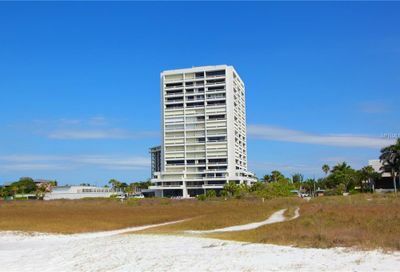 Terrace Condominiums in Siesta Key – Sarasota, FL. Sun, fun and relaxation await you at the Terrace Condos in Siesta Key. Built in 1970, with 70 units available, the Terrace Condos are right on the beachfront, making walking to the turquoise water and white sand beach of Siesta Key a breeze. An elevator provides easy access to each of the 15 floors, and secure parking at the bottom ensures your vehicle stays safe and sound. On site management is always available for questions and concerns, and there is storage as well for off-season items. After your morning run on the beach, you can take a few moments to exercise in the fitness room, followed by a dip in the heated pool to warm your tired muscles. 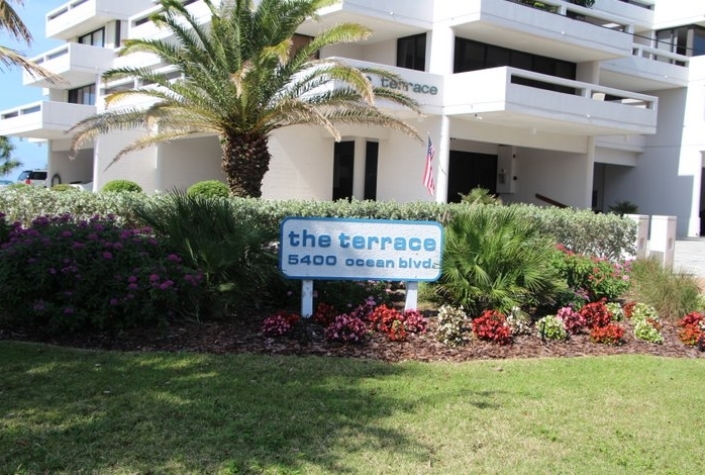 The Terrace Condos are conveniently located at the foot of Ocean Boulevard, one of the main thoroughfares of Siesta Key. Don’t want to make dinner? No worries! This street has many dining options to choose from, including oyster bars, martini bars, as well as Japanese cuisine and much more. A bit farther down the street you will find the Siesta Market, where you can pick up last minute groceries. If you’re looking for a larger grocery store, just 11 minutes away there is a Publix Super Market. Golfers will love the Siesta Key location, as it is close to three very well-known and prestigious golf courses. Name brand stores and more unusual boutiques and galleries at Main Street Sarasota will satisfy even the most discerning of shopper. Only 16 minutes away, this bustling core area is the ideal way to spend a Saturday. Sarasota is also home to the Van Wezel Performing Arts Hall, where you can catch a concert or enjoy a seminar.